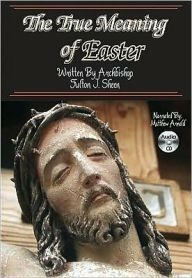 In this enlightening and inspirational production, the story of Passion, Death, and Resurrection of Jesus is recounted in the magnificent English of the traditional Catholic Translation of the bible, supported by the unforgettable words of Archbishop Fulton J. Sheen and underscored by the timeless beauty of Gregorian chant and sweeping orchestral music reminiscent of a fine film score. This is one presentation you'll definitely want to share with family and friends. By: Archbishop Fulton J. Sheen; Narrator: Matthew Arnold.